Posted on: August 17th, 2018	by Jennifer A. In under two years 30 million LEGO bricks will have come together to create 15,000 LEGO models in what will become LEGOLAND New York, the largest Legoland in the world. About two weeks ago I was invited to Goshen, New York to get the details on this new kid-inspired, amusement park, coming to New York. I so wanted to be there, to hear all the details, to see the model, to take a helicopter tour of the grounds, to learn how all these bricks would come together to build one fantastic Northeast destination for families to visit. There was only one thing that kept me away. Jersey Family Fun was hosting a Playdate in the Park on the very same day and time. We had a fantastic Playdate at the Cape May County Zoo and last night I took some time to catch the livestream of the LEGOLAND New York Press Conference. If I know my readers, you are like me. You want ALL the details. It may have only been a 15 minute long press conference but I spent at least an hour going through the photos and videos. As I watched with my 12 year old I would pause, take notes, and watch again. That cycle repeated itself a few times but I did not want to miss a detail. My son was by my side making sure I didn’t miss anything either. As 60,000 LEGO bricks fell in a massive LEGO drop, the 10-foot model developed by 20 LEGO Master builders was revealed. Speakers from LEGOLAND and it’s parent company Merlin Entertainment took turns sharing all the fantastic details. Then, I rewatched the video with my 10-year-old-son, who wants every LEGO employee to know he’s building his own LEGO Jurassic World. His reaction was like mine. He said, “It’s awesome! 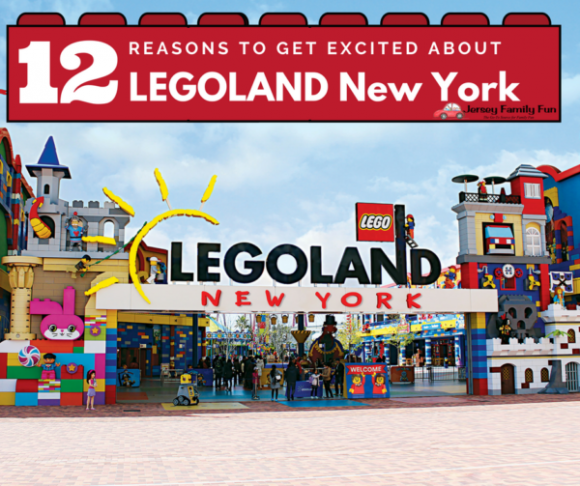 All I want to do is go NOW!” Take a look at the 12 reasons we are excited to visit LEGOLAND New York and tell us which one has you the most excited. During the press conference I watched and was wowed by a 10-foot LEGOLAND New York model created from 135,000 LEGO bricks. It took 20 Master Model Builders more than 1,300 hours to design and build it for last week’s press conference to announce the newest of the LEGOLAND parks. Combining the best of LEGOLAND California and the best of LEGOLAND Florida, LEGOLAND New York will become a unique amusement park that has never been seen in the world. It will be the first LEGOLAND in the Northeast and the first new amusement park in New York in decades. An aerial view of what will become LEGOLAND New York. 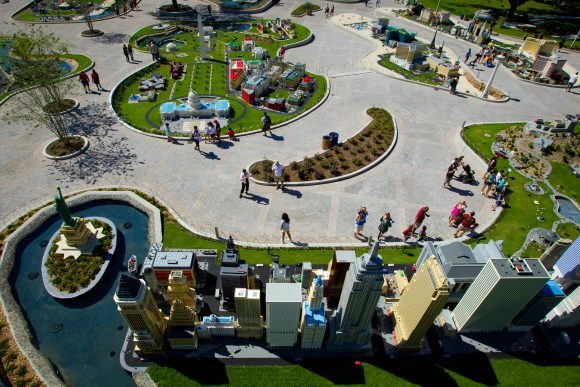 The LEGOLAND New York property has 500 acres set aside for its development. Only 150 acres are being used to build LEGOLAND New York so that guests can feel like they are part of a park within a park. 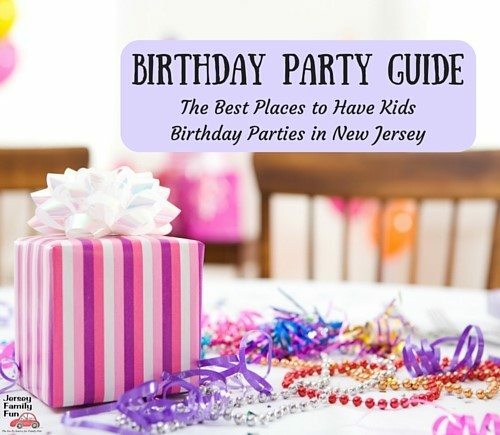 With 8 different lands for kids and their families to explore, be ready for a multi-day experience with more than 50 rides, shows and attractions –all designed for kids ages 2-12 and their families. This will be the first area LEGOLAND New York guests will get to experience when they visit the newest LEGOLAND. 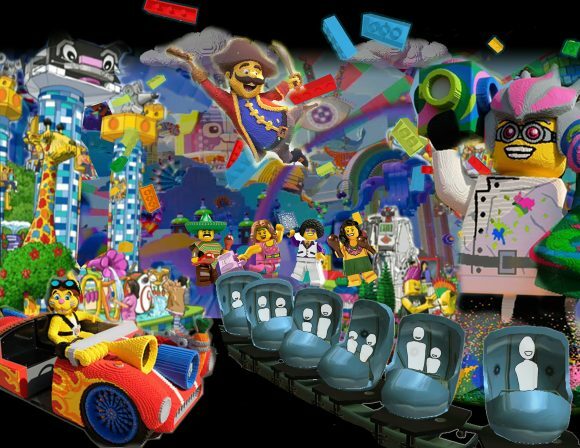 There will be a brand new amusement park ride, the the Great LEGO Adventure that has never been seen at any other LEGOLAND. It will make you feel like you’ve been shrunk to the size of a mini LEGO figure traveling through the manufacturing process, into a box, and into the hands of a child just waiting to build! The Big LEGO Adventure ride in LEGOLAND New York. After traveling through a LEGOLAND as a figure, return to your natural size and get ready to put some LEGO bricks to work. It’s an area with no rules. Beginning builders, master builders and everyone in between can build what they like. Master Model Builders will be available for guests to test their LEGO creations. Is your creation designed to ride, float or fly? Build it then test it in Bricktopia. Bricktopia will also feature a spinning ride, the Imagination Celebration. Think spinning tea cups but only cooler. Guests will spin around and around while a LEGO minifigure DJ spins tunes and disco lights shine from above. Bricktopia in LEGOLAND New York will offer opportuntiies to build and test LEGO creations. To keep the fun spinning LEGOLAND New York will also have a Ninjago World. Guests will get to spin, climb, and become ninjas as they attempt to master the ancient art of Spinjitzu. Finish it off with the LEGO Ninjago ride where riders will battle against the Great Devourer. 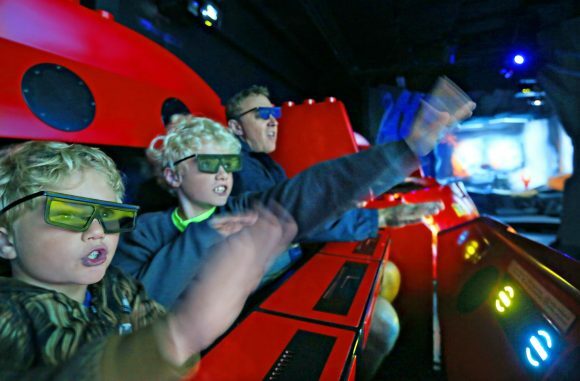 With master technology infused in the ride guests will use just their hands to battle the Great Devourer. Blast fire and ice. Send shockwaves through the air. Muster up all your physical skills to defeat this enemy of the ninjas in a ride that will be more interactive than any ride we’ve seen before. In the NINJAGO The Ride at LEGOLAND New York guests become ninjas and use their hands to defeat the Great Devourer. Hearlake City is home to the LEGO friends in LEGOLAND New York. Guests will get to meet all of the LEGO friends Emma, Olivia, Stephanie, Andrea and Mia at an outdoor stage and visit their bricktastic LEGO clubhouse. 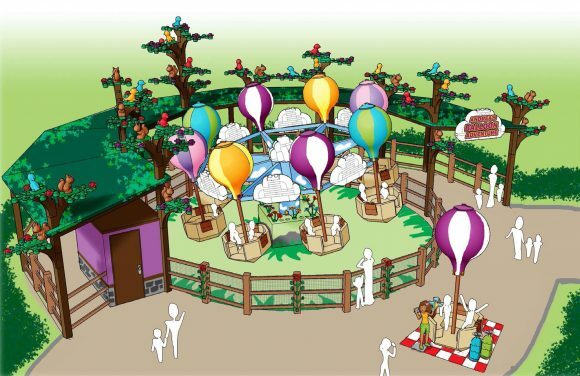 Andrea’s Balloon adventure is a new LEGOLAND ride that will only be available at LEGOLAND New York. In a hot air balloon style carriage, guests will ride over Pinefall Woods. We hear this will also be where visitors can buy LEGOLAND’s delicious and legendary Granny’s Apple Fries. 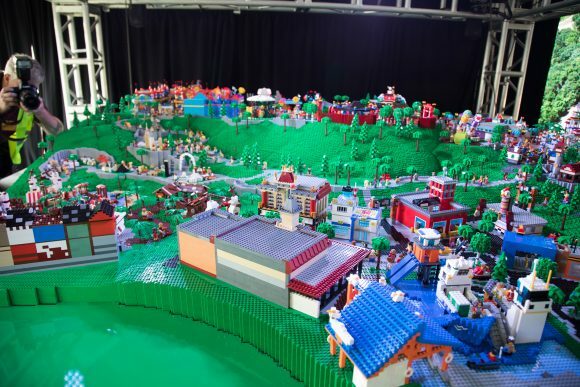 An early look at the Heartlake City Balloon Adventure ride coming to LEGOLAND New York. 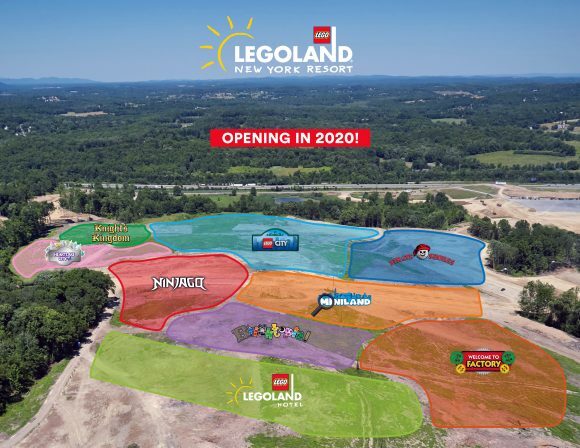 Next to LEGOLAND New York’s Heartlake City will be the Knight’s Kingdom. Knights, princesses, wizards and dragons are welcome to walk through a majestic LEGO castle to the Dragon Coaster. Riders will be on a mission to keep the dragon from stealing the king’s gold. Like all LEGOLAND New York roller coasters this will be a junior roller coaster, Not too high, not too scary, it will be perfect for the guests that wants a grand roller coaster but without the fear factor of typical roller coasters. It will have what LEGOLAND is calling the pink knuckle factor. What is the pink knuckle factor? A ride where you are not squeezing your knuckles so tight that they go white. A ride where your knuckles go pink because you’re excited and you’re thrilled and you can’t wait to do it again. LEGOLAND New York recognizes that for many children Legoland roller coasters will be their first and they want to provide an experience that brings just enough of a scare and tons of thrills. Kids can expect more firsts at LEGOLAND New York. Driving their first dragon, manuevering their first boat ride, riding a roller coaster for the first time, staying in a LEGO-themed hotel room these are all first-time experiences guests to LEGOLAND New York can expect. Yes, in the Knight’s Kingdom’s dragon driving school, kids will get to learn what it’s like to ride on the back of a baby dragon. 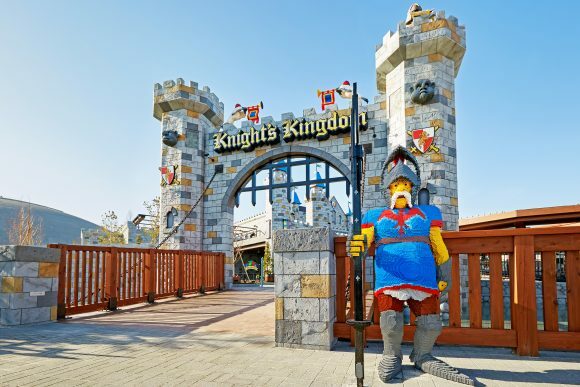 Knights, princesses, wizards and dragons are all welcome in the Knight’s Kingdom at LEGOLAND New York. In LEGO City guests will take on the role as first responders to save the city. For example become a fire figher at the Rescue Academy and work together to blast buildings with water. Visit the driving school to learn how to drive a LEGO car. Then, earn an official LEGOLAND driver’s license. 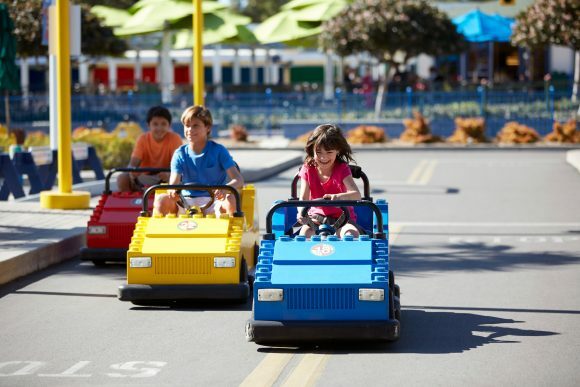 Earn an official LEGOLAND driver’s license at the LEGO Driving School at LEGOLAND New York. Arrgh..be prepared to head over to Pirate Shores or ye children may make you walk the plank. LEGO pirates have taken over the town and they want your help to find the treasure chest. Rogue Waveriders will be the ride to thrill pirate guests of all sizes. Navigate around thundering storms, twisting waterspouts, and hungry beasts as you search out the treasure. Young mateys can also climb aboard a galleon, hold on tight, and say “Anchors Aweigh” as storms pick them up and toss and turn them before finally settling down! Plan for an epic Splash Battle at the Pirate Shores of LEGOLAND New York. The last stop to tell you about in LEGOLAND New York is the Miniland. Imagine visiting multiple cities without ever leaving the city you’re in. That’s the LEGOLAND New York Miniland. It is one of the biggest areas that LEGO master builders will create. If you are not familiar with a Lego Miniland it’s where you can find the fabulous landmarks of popular cities built in minature scale with LEGO bricks. Each city will be interactive with different elements that help visitors engage with the LEGO models. If you’ve been to the LegoCity at the LEGOLAND Discovery Center in Philadelphia and been amazed, plan to be wowed. The Miniland in LEGOLAND New York looks to be at least double the size and is all outdoors. This miniland at LEGOLAND New York promises BIG fun. 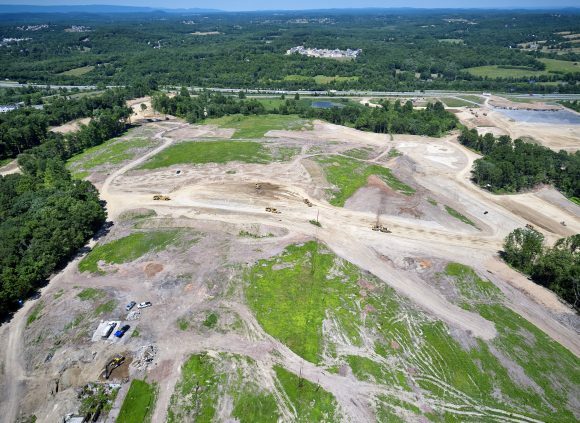 The development of LEGOLAND New York is bringing jobs to the Hudson Valley. 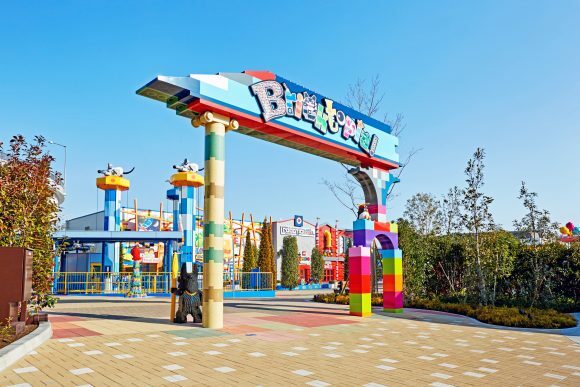 LEGOLAND New York Resort is expected to generate 1,300 jobs by opening day, including 500 year-round full-time employees, 300 part-time employees, and 500 seasonal employees. In addition, the Resort is expected to generate 800 construction jobs in its development. Looking for a reason to move to New York? Job seekers can sign up for alerts at jobs.LEGOLAND.com. 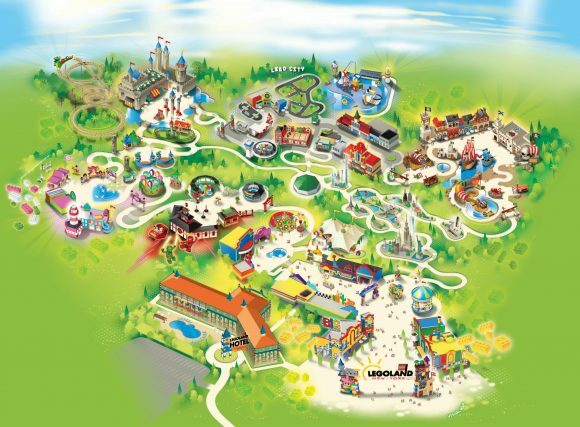 More updates soon, for now put our images together with this LEGOLAND New York map and imagine the fun your family will have. The LEGOLAND Hotel will be a fabulous place to stay. No more having to travel to California or Florida to spend the night at a LEGO themed hotel! The LEGOLAND New York hotel will have 250 rooms specially designed for families, with imaginative LEGO features and themed play areas everywhere you look – and all just steps away from the Park! Check out the 4 themes. See more about LEGOLAND New York’s 8 lands to play and hotel to stay in this video produced by LEGOLAND New York. LEGOLAND New York is an easy ride from New Jersey and New York. Leave the cars at home! Coach USA will be providing direct bus service from the Port Authority bus terminal to Legoland New York. 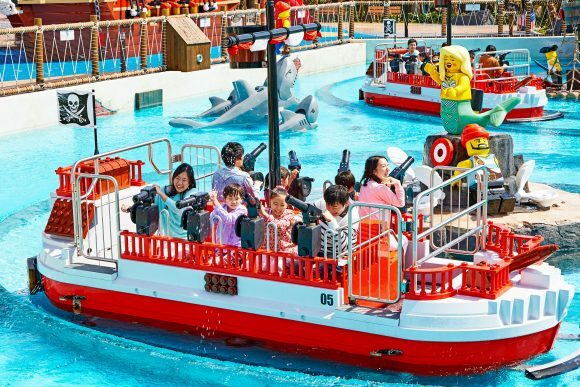 An hour from New York City, LEGOLAND New York is going to be a must visit New York attraction for families from New Jersey, New York, Philadelphia.. the entire Northeast region. LEGOLAND New York will open in the spring of 2020. Yes, it’s nearly two years away ..but we certainly can’t wait. How about you? Follow along with us for all the latest LEGOLAND New York news by visiting www.LEGOLAND.com/new-york or follow LEGOLAND New York on Facebook.